November's General Meeting will feature Part 1 of a two meeting focus on password managers. Password managers are utilities that help users create more secure passwords and maintain online passwords in a secure manner, but still readily available. Our November session features a local software company, LastPass, and their well regarded password manager of the same name. Cheryl Platt from LastPass will be our guest presenter. For a preview, take a look at this LastPass video on YouTube. LassPass Training Deck in PowerPoint (1.1 MB), Keynote (Zipped; 1.2 MB), PDF (1.1 MB) and QuickTime (1.9 MB) format. Note: in a break with tradition, the main presentation will start at 9:30, and the Question & Answer session will close the meeting. We'll have a coffee break between the two. After a holiday break, Part 2 of our look at password management will be January 26, 2013. The Sandy Creek Parking Garage is fee-based facility. It is more convenient and closer to the meeting location. 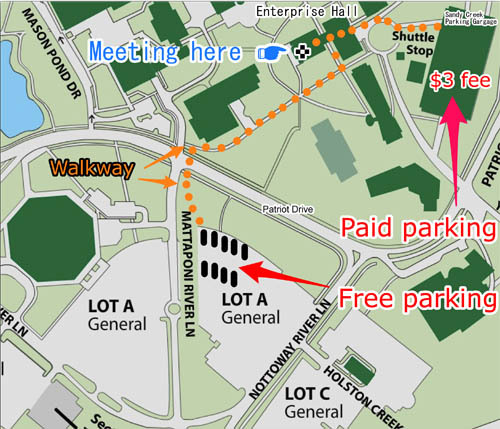 The Pi will subsidize the facility's parking fee by providing vouchers for donation request of $4.00.